The displayed fares were last found on: Wed | 17 April 01:33 AM(EST) . Fares are round trip. We help you compare flight tickets to Guatemala City and confirm your travel plan with the booking of round trip flights to Guatemala City at the best price. On the top of the search result page, we show you the Flexible Dates Fare, which is the cheapest one available against your search query. However, it might not be on the same date you searched for.Our flight booking engine presents a list of discounted flights to Guatemala City against your search query. Use filter options – one-way, round-trip, nonstop, one-stop or two-stop – to find results that are most relevant to your travel plan. What is the Best Time to Visit Guatemala City, Guatemala? Knowledge about the weather could help you to find the cheap plane tickets to Guatemala City. 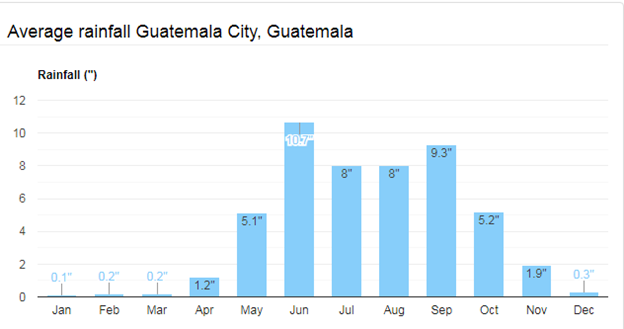 Hence, it’s important you pay attention to it.November to March, i.e., winter, is the best time to visit Guatemala City. The upper and lower temperature limits float in the mid-70s and high-80s. The weather also remains dry with little or no rain. The combination keeps humidity away from your lifestyle. Enjoy your Guatemala holiday to the most. Summer starts from April to June. Though the increase in temperature is not significant, the onset of rain triggers the humidity level. 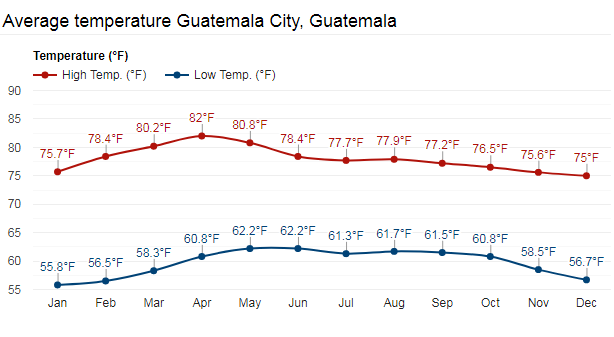 As many travelers drop their vacation idea due to humidity, the demand for flights to Guatemala City declines too. If you are budget conscious, this could be the time to book cheap flights to Guatemala City. If you are an admirer of colonial paintings, gilded wood, and silver artifacts, look no further than Museo Popol Vuh. The museum is part of the sprawling complex of Fransisco Marroquin University. Paintings have well-lit, bilingual captions to help you dig deeper into the art and the person behind. Looking for the best things to do for your kids? Visit this upbeat amusement park. You are welcomed by a series of family-friendly entertainment activities, from electromechanical games, and free fall tower to water slides and bumper cars. The park is also home to Zoologico La Jungla, an environment full of vegetation, waterfalls and an array of vibrant flora and fauna including species of birds, mammals, and reptiles. Guatemala boasts both Pacific and Caribbean coasts. Popular romantic beaches include Monterrico, El Paredon, Iztapa, Playa Tilapa, Champerico, Livingston, and Punta de Manabique. After diving, snorkeling, kayaking, and other water sports, you might go hungry. Well, you have an array of choices at the food courts situated nearby. Of the variety available, tapado, a seafood stew in a coconut broth, is worth trying. Mundo Maya International Airport (IATA: FRS) is just outside Guatemala City and is the only international airport in the country aside from Guatemala City. This modern facility with its 10,000 ft. runway is courtesy of the US CIA. The popular airlines serving the city are Avianca, Copa Airlines and American Airlines. How Much Does a Flight to Guatemala City Cost? In the beginning of this page, we have mentioned some affordable Guatemala City airfare deals. However, the fares in the aviation industry are dynamic. The price of plane tickets to Guatemala City is subject to change and non-warranted. Check current cheap air tickets to Guatemala City with our flight booking engine. Why Book Airline Tickets to Guatemala City with Cheapfaremart? Search, compare and book your cheap air tickets to Guatemala City. For help regarding finding the best flight routes and reserve your flight, call us on 1-844-869-5222 (Toll-Free).